Welcome to Owens Orthodontics, the office of S. Ed Owens, Jr., DDS, MSD and Shannon E. Owens, DDS, MS serving Northwest Wyoming and Eastern Idaho since 1977. Our main office is conveniently located in Jackson, Wyoming. We also have satellite clinics in Afton, Big Piney, Pinedale and Driggs. Our top priority is to provide you the highest quality orthodontic care in a friendly, comfortable environment. We recognize that every patient has different needs, and we pride ourselves in the courteous service we deliver to each person who walks through our doors. Whether you’re an adult, adolescent or child, we are committed to helping you achieve the smile you deserve – a healthy, beautiful one! We use the latest technological advances in the profession such as digital imaging, advanced computer graphics, invisible ceramic braces, self ligating braces, temporary anchorage devices and Invisalign®. It is our hope that you will also gain a better understanding of the importance of oral health and its contribution to your overall well being. A native of Texas, Dr. Ed Owens attended the University of Southern Colorado on a football scholarship. After completing his B.S. he returned to Texas to attend Baylor College of Dentistry, where he obtained his D.D.S., M.S.D. and his Certificate in Orthodontics. During Dental school he received the Academic Award in Basic Sciences; became a member of Omicron Kappa Upsilon, as well as, the Baylor Odontological Honor Society. In addition, he met and married his wife (Dr. Carol Owens). Following graduation, they spent the next four years serving their country in the U.S. Army Dental Corps stationed in Wurzburg, Germany, where he was Chief of Orthodontics in the 123rd Medical Detachment. Prior to the couple being honorably discharged, he received the Army Commendation Medal for Military Merit. The couple then moved to Jackson, Wyoming in 1977 where they have maintained private practices since. In addition to authoring or co-authoring 16 published articles Dr. Ed has presented lectures at various national and international meetings. Dr. Ed stays abreast of the latest advances in orthodontics with memberships in the American Association of Orthodontists, Rocky Mountain Society of Orthodontists, Wyoming Association of Orthodontists, College of Diplomates of the American Board of Orthodontics, the Edward H. Angle Society of Orthodontists, the Vienna International Study Group and the Charles H Tweed Foundation for Orthodontic Research. 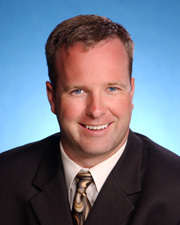 He is a board certified diplomate of the American Board of Orthodontics and is a Past President of the organization. Aside from orthodontics Dr. Ed has served on numerous non-profit Boards including Community Children’s Project, Teton Youth Soccer, Jackson Hole Chamber of Commerce, Jackson Hole Ski club and the Teton County Independent School District. 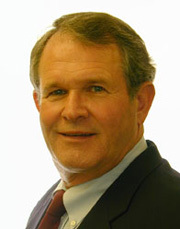 He is a past president of the Jackson Hole Rotary Club. In his free time he enjoys spending time with his family, boating, fishing and skiing. Born in Wurzburg, Germany and raised in Jackson, Dr. Shannon Owens is a former graduate of both Jackson Hole High School and the University of Wyoming. At UW he was a member of the Alpha Epsilon Delta Pre-professional Honor Society and the recipient of the L. Floyd Clarke Award for Outstanding Scholarship in Pre-dental studies. After earning his B.S. in Zoology at the University of Wyoming he attended Baylor College of Dentistry in Dallas, Texas where he completed his D.D.S. with honors, followed by his Certificate in Orthodontics and M.S. in Craniofacial Biology. During dental school he received the American Association of Orthodontists Award and the American Academy of Orofacial Pain award and was an active member of Omicron Kappa Upsilon and the Baylor Odontological Honor Society. Dr. Shannon has published five research papers and co-authored a book chapter with Dr. Jason Cope on Mini-Implant Anchorage in Orthodontics. His most recent professional accomplishment was becoming a board certified diplomate of the American Board of Orthodontics. Dr. Shannon is a member of the American Association of Orthodontists, Rocky Mountain Society of Orthodontists, Wyoming Association of Orthodontists, The Edward H. Angle Society and the Charles H. Tweed Foundation for Orthodontic Research. He is a past president of both the Wyoming Asscociation of Orthodontists and the Rocky Mountain Society of Orthodontists as well as their representative to the Council on Scientific Affairs. Locally he recently completed ten years serving on the Teton County District Board of Health and is a board member for the Teton County Education Foundation. He and his wife, Melissa, a former University of Wyoming graduate and local defense attorney, share a love of the outdoors and enjoy raising their children in their hometown.